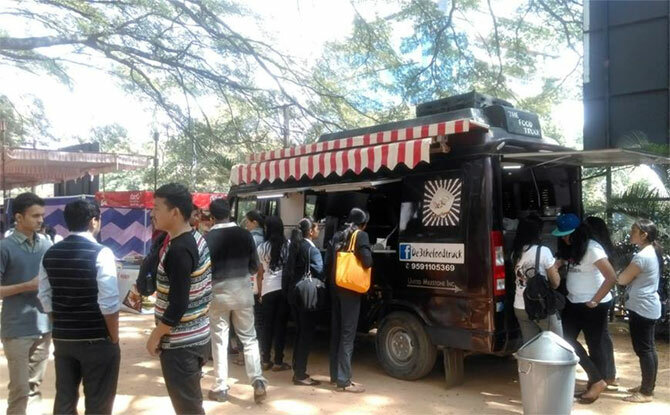 Rediff.com » Business » Food trucks: It's a hot and happening business in Bengaluru! 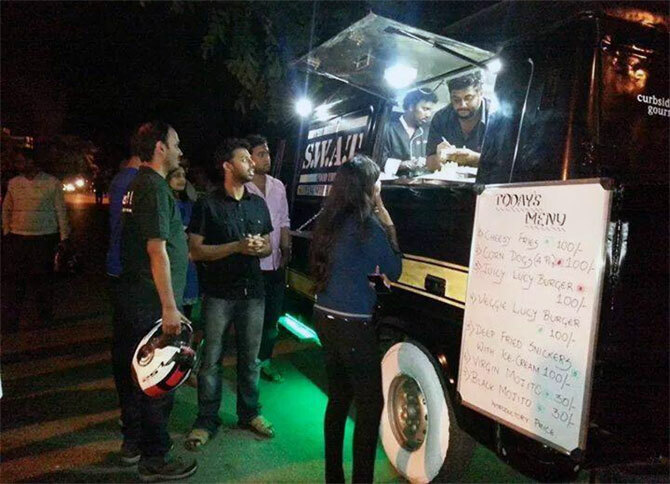 Food trucks: It's a hot and happening business in Bengaluru! Bengaluru has seven eye-catching trucks roaming the city streets, up from just one in 2013. It is past 6 pm on a weekday and a game of badminton is in progress outside Richard’s Park. Near the players, parked on the curb, is a bright purple and white van with its backdoor open, little flashing lights at the side and a white board with a menu scribbled on it with a red marker: tawooq steaks (Rs 100-130), spicy steak pizza (Rs 100), steak holder (Rs 80-90) and spicy cheese pizza (Rs 80). Soon, a Hyundai Santro draws up and a young man gets out and orders a couple of steaks to take away. A little while later, a man walking his two golden Labradors sees the truck, pauses to take a closer look at the menu and promises to come by once he’s left the dogs at home. 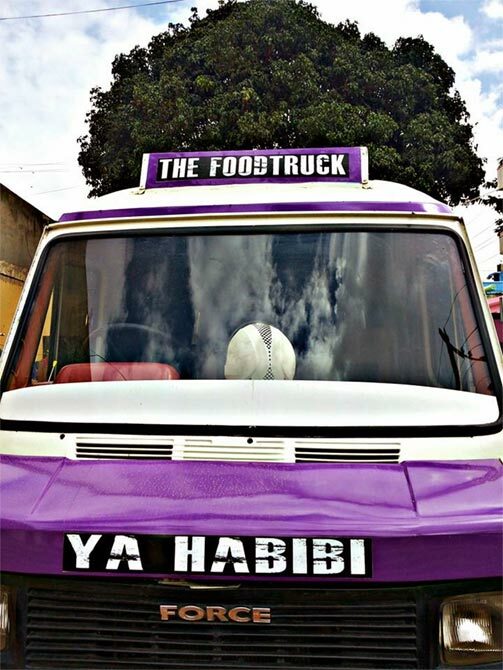 It looks like the beginning of yet another busy evening for Abdul Qadir, the 25-year-old proprietor of Ya Habibi, the latest entrant in the growing list of Bengaluru’s food trucks. Food trucks, which serve food out of modified mobile vans or trucks, are very popular in the US, particularly so after the 2008 recession - the food is relatively cheap and the trucks keep moving around, offering grub that’s quick to eat, like sandwiches and burgers. The industry has become big enough to spawn various guides on how to launch a food truck, a Hollywood film (Chef) and apps that help you locate the food trucks closest to you. Bengaluru now seems to have embraced the concept, with at least seven eye-catching trucks roaming the city streets, up from just one in 2013. After grilling strips of beef at the back of the truck and serving them in aluminum foil trays with different homemade sauces and some bread, Qadir steps out for a chat and says starting a food truck used to be his retirement plan. “But then I thought I should do it while I was still young and could enjoy it. It’s all about having fun,” he says, adding that trucks are a way to stand out in the food industry and offer scope for a lot of experimentation. Since opening on January 10, he has been serving 50 to 60 customers every evening, enough to now make him hire two assistants. Like Qadir, most of the other proprietors are in their early or mid-20s and for at least three, the inspiration was the popular TV show Eat Street, which explores street food in the US, particularly food trucks. De3 (pronounced as “the eatery”), the first to get on the road in Bengaluru, is one of them. 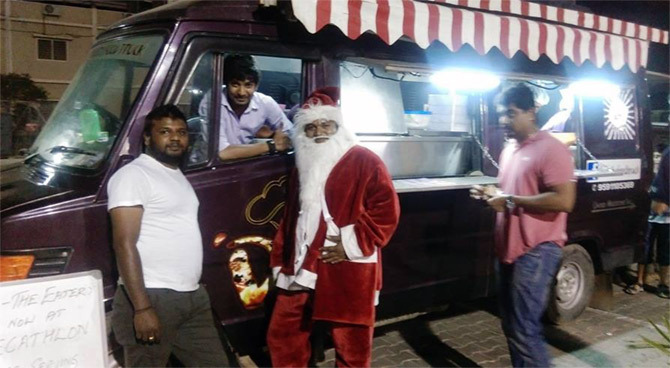 Started by four friends, Sudarshan MS, Shakeel Ahmed, Francies Xavier and Chandra Mohan, their truck sells hot dogs, pastas, burgers and French fries at Rs 120. They found that in three to four hours, starting at 6 pm, they were able to make Rs 10,000 on average. “We initially thought it would appeal mainly to youngsters but people from all age groups and even families started becoming our customers,” says Sudarshan, 26, at the biker café they have just opened, as part of expansion plans. The route of the truck is decided according to customers’ response on Facebook, and they usually scout out the location before parking there. The trucks stay in touch with their customers about routes and menus mostly through the social media. While De3 has trained chefs, most proprietors get down and dirty and do the cooking themselves. Friends Jimson Johns and Leoma D’Souza are also the chefs at SWAT food truck, while Vivek Cornelio takes care of the rest of the business. “Eat Street was our inspiration to do this in India,” confesses Cornelio. Thus, the name - Serving With A Twist - seems to be a spinoff on a food truck in the US while the cuisine is firmly “American curbside gourmet”, with burgers, corn dogs and deep fried Oreo cookies with ice cream. The most popular burgers, says Cornelio, are the all-American meat burger and the mac and cheese burger. SWAT launched just a month ago, but Cornelio says the response has been overwhelming and they have temporarily scrapped plans to serve lunch because of the rush. “There hasn’t been a single day when we’ve had a burger left over,” the 24-year-old says. Shreya B, an HR professional staying in Indira Nagar who has eaten at SWAT two or three times already, says she loves the food. “It’s very innovative and the quality is very good as well, which I wasn’t expecting. I’ve been recommending it to various friends,” she says. 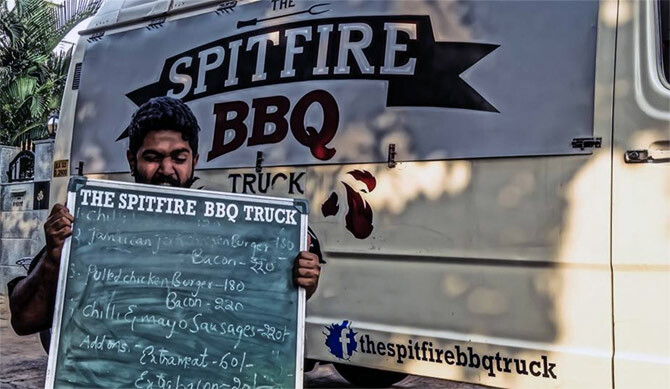 Sidhant Sawkar and Pratika Binani of Spitfire BBQ Others, like the Spitfire BBQ Truck and Gypsy Kitchen, were meant to be stop-gap arrangements till their original dream of a restaurant took shape but the trucks’ popularity convinced them otherwise. 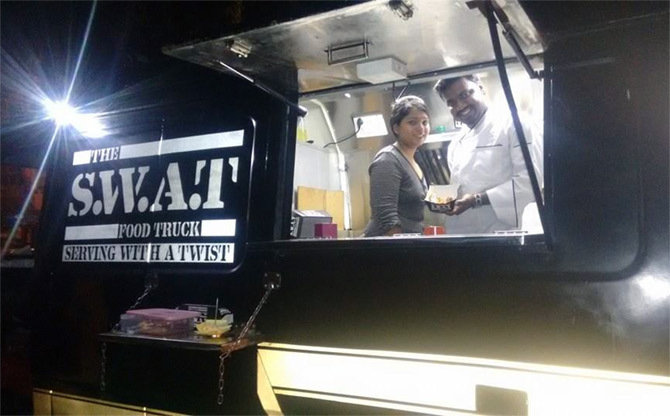 “It caught on quite a bit, which we weren’t expecting,” says Sidhant Sawkar, a 23-year-old trained chef who used to run a catering business but then figured that in a food truck, the customers could come to him rather than vice-versa. Sawkar and his partner, Pratika Binani, are in the process of opening a bistro, but they are also planning to expand their food truck business by giving out franchises. 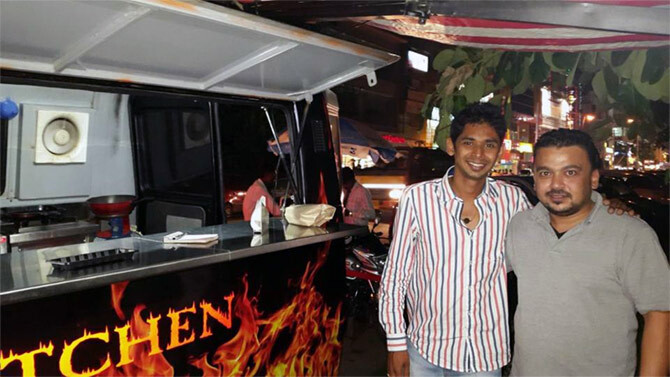 Shakti Subbarao, the proprietor of Gypsy Kitchen, intended to open a restaurant in Goa but settled for a food truck (and now a restaurant) in Bengaluru, after he had twins. Subbarao, who was a corporate trainer for 12 years before taking the plunge into the food business, says there was a lot of scepticism initially about why people should pay Rs 120 for a burger. 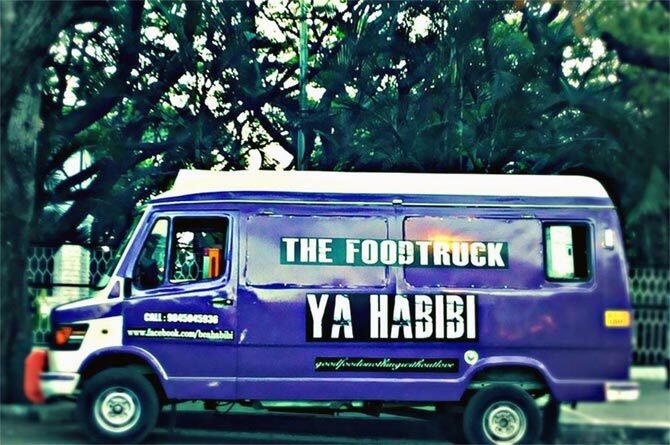 Food trucks may soon be rolling on the streets of other cities, too. De3’s Sudarshan, who manufactures food trucks and is planning to give franchises as well, says one order has been from Hyderabad and another from Delhi. Delhi also saw luxury hotel The Lalit launch a truck serving Mexican food truck last year. The trend, the young entrepreneurs are convinced, is here to stay. “Customers can see what is being cooked; it’s convenient, fresh and hygienic,” says SWAT’s Cornelio. Daimler unveils an amazing self-driving truck!